Jane Eyre is my all-time favorite book. I fell in love with it when I was 11 and I’m still in love with it now. I love the book so much that I actually bought a hand full of Jane Eyre retellings so I can read a fraction of the original Jane Eyre in different perspectives and themes. But a majority of the retellings I’ve read were just plain awful. But The Flight of Gemma Hardy was actually a refreshing best in all the retellings I’ve read of Jane Eyre. I think one of the mistakes that authors have made when they wrote a Jane Eyre retelling, was skipping Jane’s childhood. Thus, lacking heavily in character development. The Flight of Gemma Hardy, on the other hand, started in childhood and spent a considerable amount of time elaborating on Gemma Hardy’s early years, her struggles, and how and why she is the person she is now. What makes this book really unique was the authors original touches to the book. For example, the book was set in the early 40’s and 50’s, the dialogue and occurrences were all different. Jane in this book actually had another boy in interest and it wasn’t always about Mr. Rochester. Though I adored this book. The details and plot were confusing and really didn’t catch my interest. The books plot is a lot different than the original Jane Eyre book – so I spent the majority of the book waiting for the ex-wife to pop up only to figure out that there wasn’t one. So things, got really confusing and I just couldn’t catch on the last few chapters of the book. The book was very unpredictable at times. I don’t know if I should welcome that or not. Another area the book was lacking was the obvious tension between Gemma (Jane) and Mr. Sinclair (Rochester). 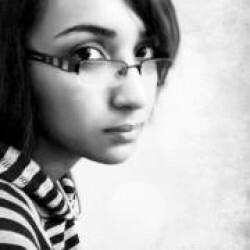 Instead of the romance gradually growing with tension and friendship. The entire romance felt forced and that disappointed me a little. 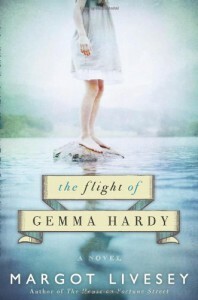 In short, The flight of Gemma Hardy was a wonderfully written book. It was a great retelling of Jane Eyre and it still had its originalities that makes the book unpredictable and different. Despite it’s flaws, the book was a breath of fresh air.